A short film by a young Turkish Cypriot from Stevenage will be used by mental health charity MIND as part of its awareness week in May this year. 26-year-old Türkân Ahmet wrote and directed The Girl That Lived about Holly Streeter, a troubled young woman suffering from schizophrenia who ends up living alone on the streets. Türkân was inspired to write the story after reading an article about schizophrenia a couple years ago. After extensive research and drawing on resources provided by mental health charities Mind and Rethink Mental Illness, she developed a script for her 17-minute film. Working with Apex Studios, a local production company, Türkân filmed The Girl That Lived in Stevenage in September 2013. All the cast are professional actors or who work extensively in amateur dramatics. The film’s narrator, Iain Stuart Robertson, has a long list of credits in film, theatre and TV, including a nine-year stint on The Bill. His voice provides a strong contrast to Rhiannon Drake’s, who plays the main character Holly. The film starts six months after Holly had received a book titled The Girl That Lived by The Storyteller. Keeping this book by her side as she wonders the streets, she feels her life is being 'dictated' by The Storyteller (the film’s narrator). Viewing the situation as a power struggle, Holly is unable to think rationally: who or what is The Storyteller, and what is the link to her and his motive for wanting to take control? Eventually, overcome by frustration and an inability to comprehend the world around her, Holly makes a desperate attempt to rid herself of The Storyteller. Once it aired online last autumn, The Girl That Lived quickly started to make waves. MIND heard about the film and contacted Türkân to ask if they could screen it as part of their ‘Secret Cinema’ series of events in 2014. In December, staff from her local MIND group, Mid Herts, screened the film as part of a networking and fundraising evening. The charity is now working to get the film into local schools as part of its Mental Health Awareness week in May 2014. Türkân also wants to engage her own ethnic community, hoping the film can help challenge mental health's ‘taboo’ status among British Turks too. As a teenager, Türkân loved to perform and she successfully auditioned to join the National Youth Theatre aged just 17. For several years prior to this, she had been writing scripts. At 15, she was a runner-up in a national competition run by Blue Peter to write an episode of Grange Hill. The talented Turkish Cypriot continues to write and direct. One of her short films was screened at Sundance London 2012 film festival and in 2013, her short story, From London with Love, was published in an anthology of New Writing and is currently available in local bookshops. Türkân is currently working on a range of new projects include a comedy webseries, a radio play and a television sitcom. Canan Tolon, ‘Glitch II’, 2007. Oil on canvas, 140 x 180 cm. Tim and Nancy Howes, private collection. Photo: Eli Ridgway. Visual artist Canan Tolon’s work is on display in her first major exhibition in a London institution. Titled Sidesteps, this grand scale solo exhibition at Parasol unit provides an in-depth insight of her works from 1986 to the present day. A mixture of abstract and organic, the exhibition includes Futur imparfait, 1986–1999, an impressive series of 33 ink-wash and crayon figurative drawings that were recently acquired by the British Museum, which are on show all together for the first time in the UK. Another of the standout exhibits is Time After Time: an immersive piece that takes up three walls of the room, drawing the eye in from every angle with its seemingly repetitive patterns, which on closer inspection contains clever differences created through its play on light and space. Born in Istanbul, Tolon’s childhood was spent in various European countries. She studied design in Edinburgh and London, receiving a BA from Middlesex Polytechnic / Architectural Association, London in 1980. She went to the USA to further her studies, graduating with a Masters in Architecture at the University of California at Berkeley in 1983. She then worked some ten years in several architecture offices while continuing her work in the visual arts. 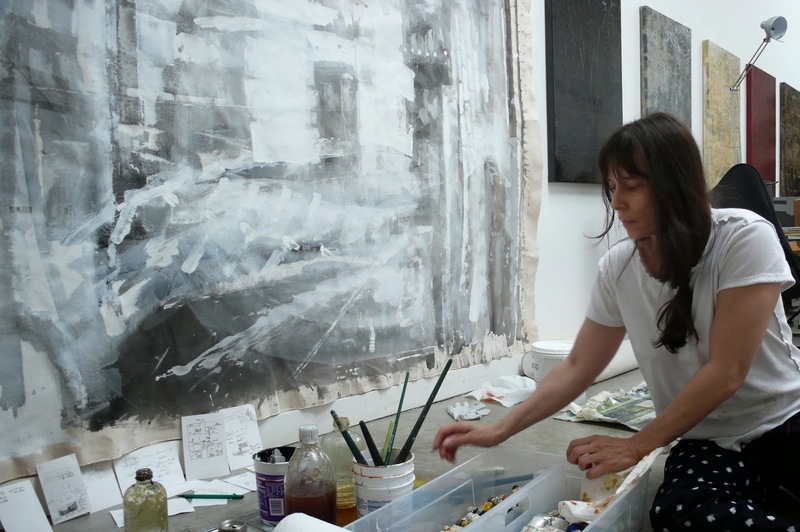 Her paintings and installations have been exhibited internationally. She has works in a number of major public collections, including the British Museum, London; Istanbul Modern; IKSV (Istanbul Foundation for Culture and the Arts); the Nesrin Esirtgen Collection, Istanbul, Turkey; and the di Rosa Collection, Napa, USA. She now spreads her time between San Francisco Bay Area and Istanbul, Turkey. Space is the main subject of Canan Tolon’s work, especially in the way it is visualised, politicised, imagined and remembered. Always astute and elaborate, her technique for creating space may at first sight seem random, but is clearly the result of painstaking investigation, premeditation and control. A number of Tolon’s oil paintings are executed in black-and-white or mute colours with brighter touches. Whether large or small in scale, their form often suggests architectural imagery. Formally precise, rhythmic and structured, they are also simultaneously elusive, transient, accidental, and surprise viewers into reassessing what they see. 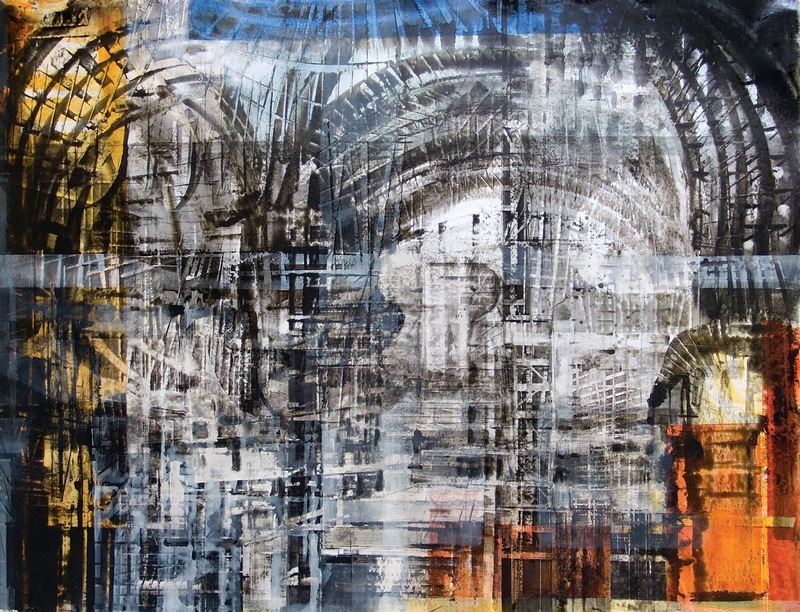 Tolon’s paintings are also informed by her own photographic experience and skill, though she uses no collage or printing techniques in their making. Rather, she works hands-on with tools, such as straight edges and knives, to produce an effect of ‘instant reality’. 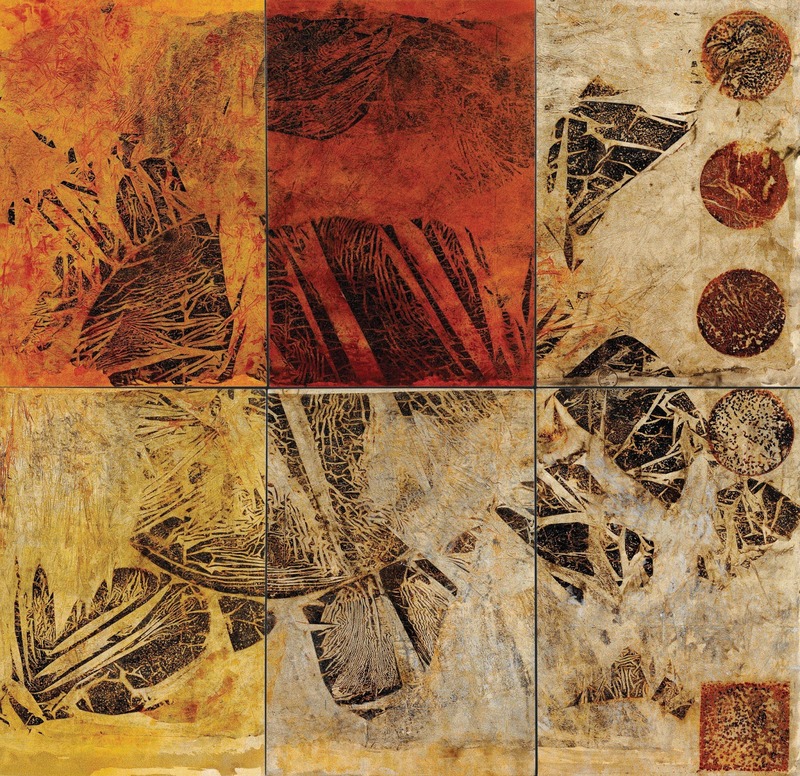 This is particularly true of her works on Mylar, which at first glance look like photographic prints of something familiar, yet on closer examination the ‘photographic reality’ falls away and their illusionistic nature is revealed. Tolon’s aim is to make paintings that are apparently recognisable, yet elude description. Her London exhibition is curated by Ziba Ardalan, the founder and director of Parasol unit. Canan Tolon: Sidesteps is accompanied by a comprehensive book, including an artist interview by Ziba Ardalan and essays by Bill Berkson and John Yau, published by Parasol unit foundation for contemporary art. A related programme of educational events at the gallery includes lectures, poetry readings, animation and storytelling workshops. Born in Lefkoşa in 1942, Ratip was introduced to music when he was five years old by his mother Jale Derviş, one of the most famous music teachers on the island. 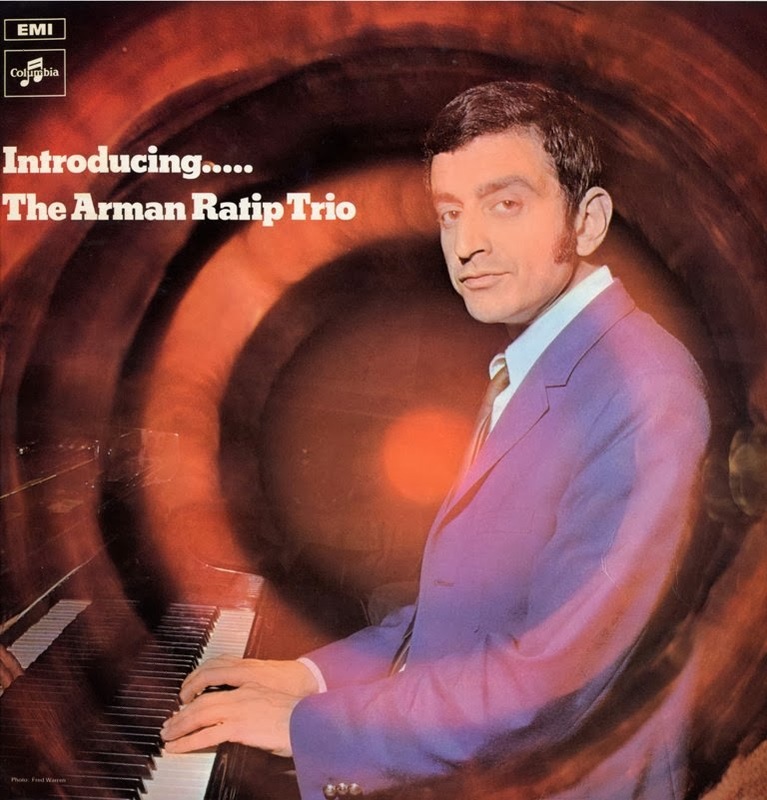 Within a few years, this child prodigy was not only fully proficient on the piano, but had also turned to writing his own music, often improvising with Jazz and Turkish Folk music. 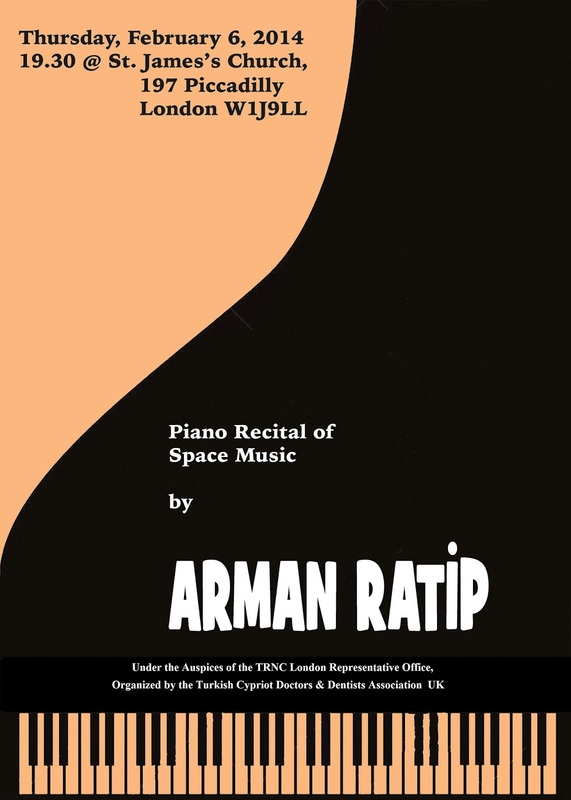 Best known for his Avant-Garde Jazz and New Age music, Ratip has toured the world performing extensively. He has given solo concerts and appeared at numerous music festivals in Vienna, Salzberg, Berlin, Bucharest, Islamabad, Istanbul, Ankara, and in his native North Cyprus. Those wishing to attend need to contact the organisers in advance of next Thursday to reserve their places - details are below. The UK has entered into a new agreement with the Greek-Cypriot run Republic of Cyprus, relaxing planning restrictions on its Sovereign Bases at Akrotiri (Ağrotur near Limasol) and Dhekelia (Dikelya near Mağusa). The bases, which cover 98 square miles, or 3% of the island, are home to some 10,000 Greek Cypriots, as well as land and properties formerly owned by Turkish Cypriots. The UK says the arrangement is important in allowing “increased flexibility for the development of private property” , giving greater freedom to residents and property owners within the bases, while safeguarding the UK’s effective operation of the Bases for military use. The agreement is described as an excellent example of the good cooperation between the two governments, and is said to “enhance considerably the prospects for investment and growth” in the Greek Cypriot republic. But a government spokesmen for the Turkish Republic of Northern Cyprus expressed dismay at both the timing of the agreement, the lack of consultation over the deal with other parties affected by the 1960 Treaty of Independence, and that the Bases deal makes no mention of the land formerly owned by Turkish Cypriots. Historically, Archbishop Makarios and Turkish Cypriot representative Rauf Denktaş specifically initialled Appendix R of the 1960 Treaty, which highlighted that the land the British bases were on is sovereign British territory. It gave Great Britain the absolute right to dispose of the Sovereign Bases as she wishes. 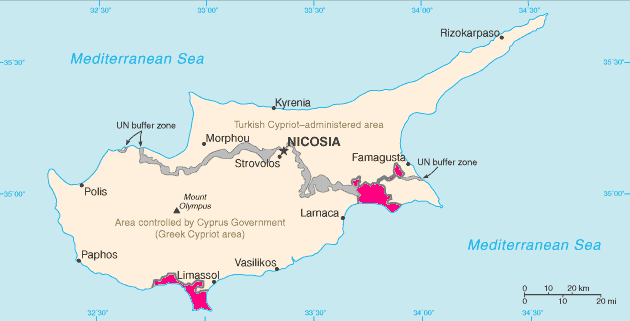 The clause was inserted to prevent a future Republic of Cyprus government claiming land back from the British government. 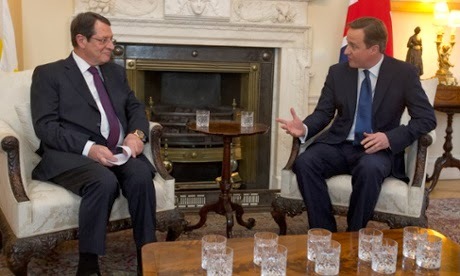 The recent agreement also commits the UK to helping Greek Cyprus develop gas reserves in its Exclusive Economic Zone “in accordance with International Law”, and repeats the two governments’ continued commitment to a “State of Cyprus with a single sovereignty, single international personality and a single citizenship, in a bi-communal, bi-zonal federation with political equality”. 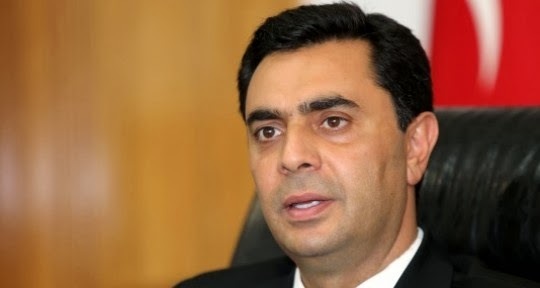 Commentators are already comparing the new deal with the notorious Memorandum of Understanding signed by Prime Minister Gordon Brown and then Greek Cypriot President Dimitris Christofias, which among other things restricted the legitimate development of the TRNC culturally and economically. The Turkish Cypriot side claim both agreements are effectively a denial of the UK’s Independence Treaty status, where it has a duty as Guarantor to uphold Turkish Cypriot rights and interests on the island. Earlier this week, T-VINE founder and editor İpek Özerim presented a cheque for £287 to the Southgate Rotary Club (SRC) towards their Turkish Triangle campaign for Syrian refugees. The money was raised through a raffle at the magazine’s Christmas party, which took place at Cyprus Garden last month. Receiving the cheque, SRC President Alok Agrawal thanked T-VINE for “the generous donation for this humanitarian cause” and said he would keep readers abreast of how their money was spent. Over 150 people attended the T-VINE Christmas Party on Sunday 22 December. Raffle prizes were donated by: the Turkish Deli (handmade pure olive oil soap bars), Fio’s Cash and Carry (raki gift sets), Peccadillo Pictures (DVDs of acclaimed Turkish movies), and Cyprus Garden (dinner for two). A total of £287 was raised from sales of raffle tickets on the night. Mixed martial arts champion Huseyin Garabet (pictured below) and peace activist Timothy “Peace” John Baptiste pulled out the winning tickets. 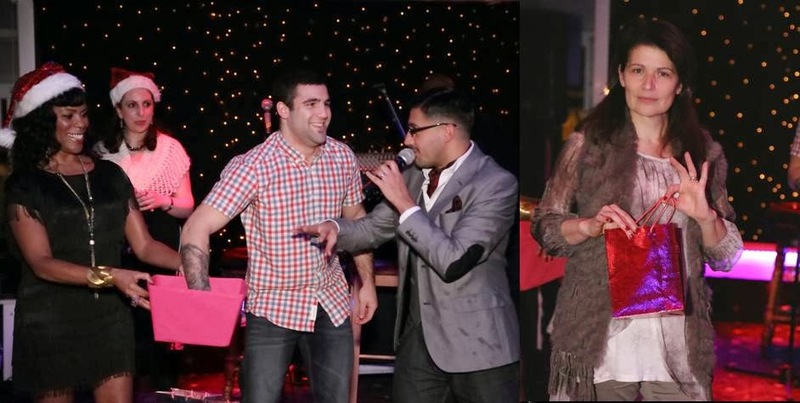 The Christmas Party was styled as a cabaret event. Guests were treated to a 3-course dinner, live music, dance, comedy and festive treats. Organised by Prickly Pear and RPJ Events for T-VINE, the night’s entertainment kicked off with legendary drummer Tansay Omar and his new band Funkshy. Lead singer Deborah Lee’s powerful soulful vocals dazzled the audience, as the band performed tracks from their debut album Made in London. Babutsa’s Soner Tϋrsoy got the dance floor packed with his hour-long set of Turkish pop hits. Renowned Oriental dancer Melisa Yavaş put on an exhilarating show, which included her sensation sword dance. Rounding off the night was DJ Elliot Patterson who kept the guests dancing into the early hours with his rocking Christmas party set. 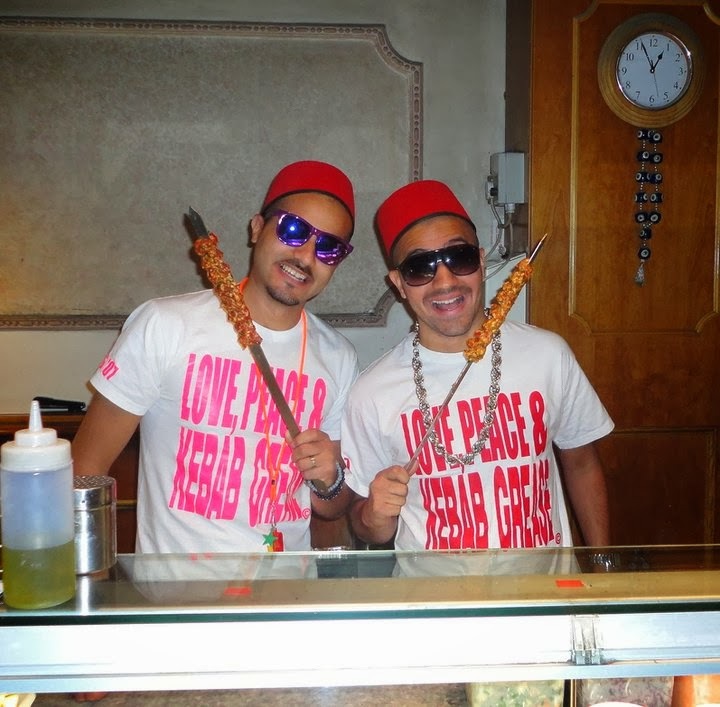 The night was hosted by T-VINE columnists and issue 5 front cover stars Eray and Koray (pictured below). Four people have been killed and six injured – one seriously – in two major road traffic accidents in North Cyprus. On Monday evening, a car driven at high speed by 34-year old Çiğdem Altınfincan on the main Lefkoşa-Güzelyurt road heading towards Güzelyurt, veered into the ditch in the central reservation near the Türkeli junction, causing her car to flip and crash into two oncoming cars. 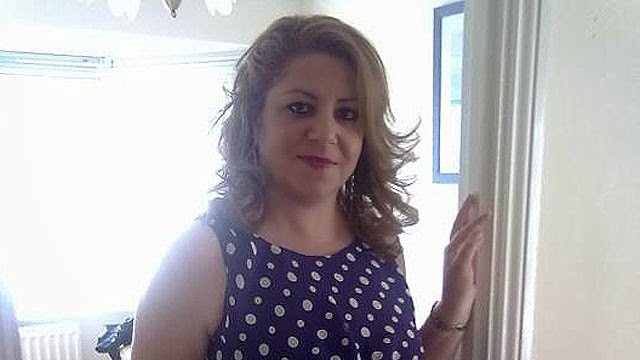 The first car, driven by Ayşe Candemir, took the full impact of the crash, killing three of the four occupants instantly: teachers Candemir (aged 30), Figen Arkın (38) and İmge Kozok (24), pictured above. A fourth, Dilek Yılmaz (32), was badly injured and she remains in intensive care. All three occupants in the second car that Altınfincan smashed into, driver Naci Kanatlı, Süheyla Kanatlı (40) and their daughter Fethiye Kanatlı (8) were also injured and taken to hospital. Altınfincan broke her shoulder in the fatal smash. The Lefkoşa-Güzelyurt is notorious for fatal accidents. Turkish Cypriot daily Havadis dubbed it “Death Road”, reporting that in the past three years alone there have been 12 major accidents resulting in 15 deaths. On Tuesday night, a second fatal crash occurred on the Karpaz-Famagusta road near İskele. A car driven by 21-year old Gökhan Gezen veered across the road straight into the path of an oncoming taxi driven by Haşmet Özmusa. Both drivers were taken to Gazimağusa State hospital where Gezen sadly lost his life, while Özmusa is being treated for non-life threatening injuries. Gezen is the son of renowned clarinet player Özkan Gezen and house band leader at Kosem Taverna in North London. Initial reports released to media by the police suggest the accident happened at 00.15 and was caused as a result of Gezen speeding and losing control of his vehicle. According to state news agency TAK, the two accidents bring the TRNC 2014 road fatalities toll, not yet a month old, to five. North Cyprus has the worst record in Europe for fatal car crashes. Statistics issued by the TRNC’s Road Traffic Accident Prevention Association (RTAPA) stated there are 16.33 road traffic deaths per 100,000 of population – three times higher than the EU average of 5.5. A total of 442 people have been killed in road traffic accidents in the past 10 years. The numbers steadily dropped, with just 24 fatalities in 2012. However they doubled last year, with 49 deaths on the roads – the worst since 2004 when 76 were killed. Of the 49 killed last year: 20 were car drivers, 12 passengers, eight pedestrians, seven motorcyclists and two cyclists. Half of all accidents in the TRNC are said to be as a result of drivers speeding. Like the rest of Britain, many Turks are getting married and having kids far older. Does that mean they cross the hand-kissing threshold later too? There’s nothing worse than meeting an older person and not knowing appropriate greeting methods. Would a Nene aged 58 be a ‘kiss-the-cheeker’ or a ‘hand-kisser’? When does an Abi upgrade to an Enişte or skip straight to Amca even if he isn’t your dad’s brother? At what age should you keep cash for kids kissing your hand at Bayram? Who sets these rules? The TRNC London Office has made an appeal to help find a matching bone marrow donor for a Turkish Cypriot diagnosed with an aggressive blood cancer. 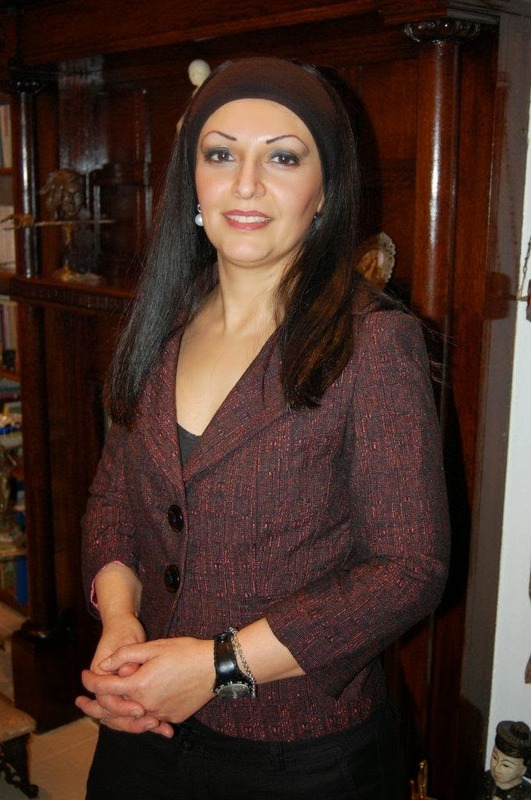 Mrs Letife Çavuşoğlu, aged 49 is the mother of Hale Çavuşoğlu, who works as a secretary at the TRNC London office. She recently found out she has Acute Lymphoblastic Leukaemia – the same disease that Bengu Shail bravely battled against. Letife Hanim, formerly a pharmacist at Chase Farm Hospital, is currently having chemotherapy treatment at the Royal Free Hospital in Hampstead and is in urgent need of a bone marrow transplant. The Turkish Cypriot Doctors & Dentists Association UK, supported by Delete Blood Cancer (the UK arm of DKMS – the biggest donor centre in the world), has launched a campaign to quickly help find her a life-saving donor. Two donor testing events are being hosted in London next month with British Turks and others originating from the Mediterranean region aged between 18-55 years old and of good health invited to attend. The testing process is simple: register your personal details and provide a saliva sample, which all takes just a few minutes. The samples will be tested to see if they match with Letife Hanim. Details will also be held on the donor database of Delete Blood Cancer in case it can help others fighting this deadly disease. Please attend if you can and do circulate this news to others – you really could help save a life. 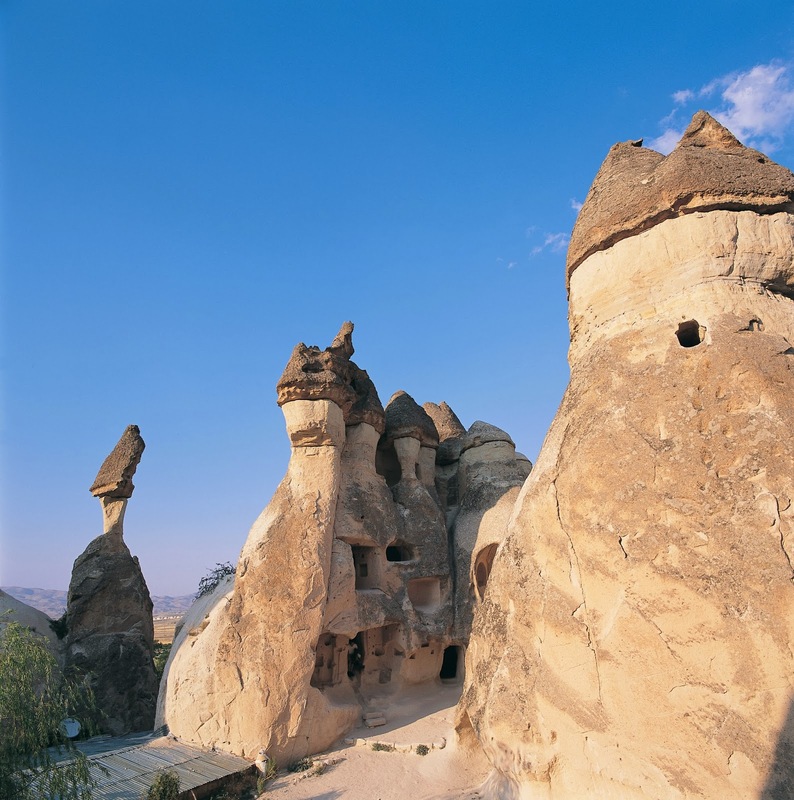 Discerning travellers seeking a stimulating holiday to explore the rich history and fascinating landscape of Turkey need look no further than Cappadocia. Located in central Anatolia, this is a geological wonderland of lunar-like rock formations, the result of the downward erosion of layers of volcanic ash deposited millions of years ago. Natural cone formations smoothed by the elements are now known as fairy chimneys, which lead to caves and labyrinths below ground. See them silently at dawn from a balloon gondola, with a partner by your side, for maximum effect. Cappadocia was ruled by the Hattis in the late Bronze Age, then Hittites, Phrygians, Persians, Romans, Byzantines, Seljuks, and Ottomans, who were drawn by to the region’s fertile plains and strategic importance to key trade routes, such as the illustrious Silk Road. These diverse races ensured that a myriad of historical and cultural influences were left behind. The location’s attractiveness meant the region was also frequently under attack. It prompted local inhabitants, including the early Christians fleeing Roman persecution, to create living spaces from Cappadocia’s natural caverns whose entrances could be easily concealed from invading forces. In time, these troglodytic dwellings became moulded by men into subterranean cities with homes, churches, water supplies, and incredible Byzantine frescoes. The natural rock citadel of Uçhisar is the tallest point in Cappadocia, visible for a great distance from the region's other towns such as Ürgüp (good nightlife) and Avanos, famed for its pottery. The underground cities of Kaymaklı and Derinkuyu contain vast multi-levels of rooms and passageways that will leave you feeling like you're lost in a huge historical labyrinth. Derinkuyu for example was re-opened to the public in 1969 and is large enough to shelter 20,000 people and their livestock. Newly restored is the Monastery of St Nicholas located in Mustafapaşa. Other areas worth a trek are the Ihlara Valley and Monastery Valley. It’s good to travel around on foot, either as part of a tour or with an experienced private guide, who can help you to discover historical gems that are off the beaten track. Göreme is Cappadocia’s centre of tourism, with the entire area a UNESCO World Heritage site. The town is a short 20-minute walk (1 mile) to the Göreme Open-Air Museum situated in Göreme Valley, where you can see the region's richest collection of painted cave-churches. These were carved from the soft volcanic stone by medieval orthodox Christian monks (1000-1200 AD) who then decorated them with elaborate Byzantine frescoes. Thrill-seekers can appreciate Cappadocia’s natural wonders and aesthetic elegance by hot air balloon. There are a half-dozen firms operating out of Göreme daily. Start times are early, around 4.30am, and April through to October are generally the best times to fly, with a greater chance of cancellation at other times of the year due to bad weather. If walking is too arduous, see Cappadocia on horseback. A 2-hour safari from Göreme will set you back €40. Amongst the striking scenery, you can also squeeze in a romantic gondola ride in the Red River or a jeep safari between the Fairy Chimney Valleys. Wine-making is said to go back 7,000 years and the region boasts excellent grapes. A modern and popular winery to visit is Turasan, where you can sample a range of quality wines at great prices. Local crafts are also in abundance: Soğanlı village is where the famous handmade wooden dolls of Cappadocia are produced. Visit Avanos to pick up terracotta pottery – their methods date back to the Neolithic age. The handmade Turkish rugs are highly sought-after for their brilliant attention to detail. First-time visitors are in for a unique treat when it comes to staying over in Cappadocia, which is now teeming with boutique hotels and guest houses. 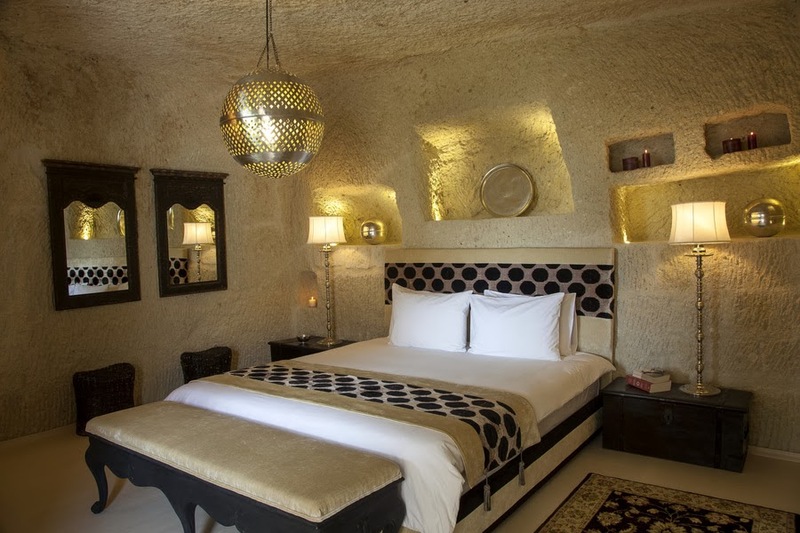 Many, such as the luxurious Hezen Cave Hotel (pictured) and the smaller, family-run Star Cave Hotel are carved directly out of natural rock. They have been carefully adapted and include all the mod-cons, comforts and style of any other hotel, while offering a stunning environment to rest and great panoramic views of the surrounding areas. For those in need of more conventional accommodation, many Ottoman-era mansions in the region are being restored and turned into hotels and inns (pansions). Cappadocia’s continental climate means hot dry summers and cold snowy winters. Rainfall is sparse and the region is largely semi-arid. Nearest airport: Nevşehir. 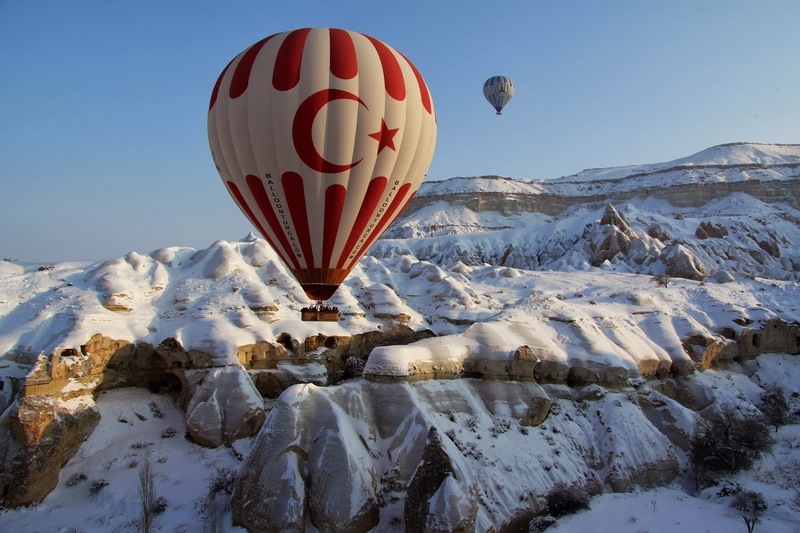 Main photo courtesy of Turkey Tourism UK Office, hot air balloon image by Arda Cakır. News that an Enfield councillor who made offensive remarks about his constituents, Turks and Muslims, has been welcomed back into the Tory fold and is preparing to stand again in the May local elections has generated widespread criticism. 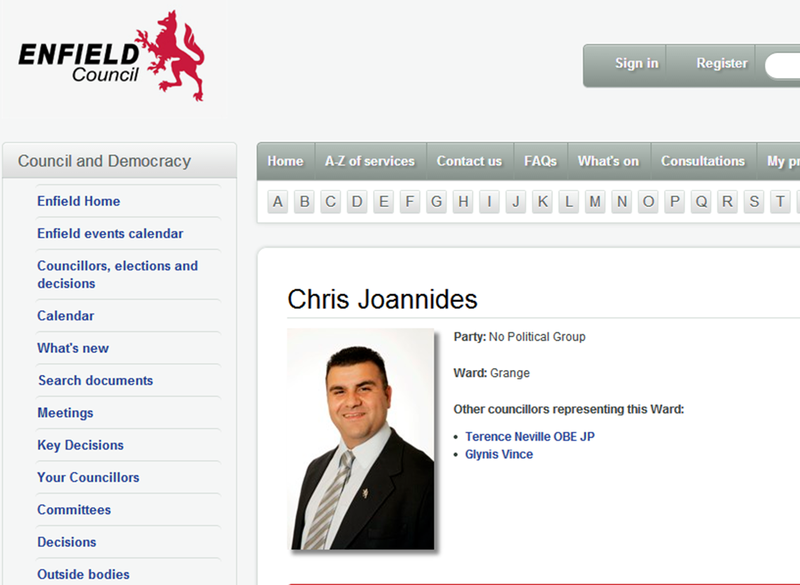 Conservative councillor Chris Joannides hit the headlines last year over a series of comments he made via social media, prompting several formal complaints. His offensive remarks included claiming: ‘terrorist groups like Hamas use children as propaganda tools’ underneath a picture of a Palestinian woman cradling an injured or dead child. On other occasions, he posted comments about how his constituents were ‘eating into his social time’ even though he is paid to meet the needs of his constituents. Joannides, of Greek Cypriot heritage, also made a number of anti-Turkish comments. These ranged from using ‘Tourkosporos’ (seed of Turk), a derogatory term, to insult others and one-sided, inaccurate commentary about the Cyprus conflict aimed at demonising Turks, who he claimed: "killed 6,000, raped 1,000 women, children and disabled". He labelled North Cyprus "the racist so-called TRNC". As a councillor in a borough with a huge ethnic Turkish community – Turkish is Enfield’s second most commonly spoken language – his efforts to pass his offensive comments off as “banter” was deemed unacceptable by many. Following the complaints, Joannides was suspended by his party. A police investigation found he had not broken any laws to justify a prosecution. As a result, Joannides’ local Conservative Party decided to restore the party whip. An article in last week’s London Turkish Gazette stated that Joannides had also been selected to stand in the local elections this May, infuriating British Turks. Online petition calling for Joannides' candidacy to be suspended signed by dozens within days of launch. Turkish Tories also complain about councillor's reinstatement. An online petition launched by Yasar Duyal calls on the authorities to suspend his candidacy and has been signed by dozens of people within days of going live. The petition has been logged with Enfield Council who are monitoring the support it receives. The controversial councillor still has to face Enfield Council’s cross-party disciplinary panel, which will assess what action, if any, to take following his comments, which were deleted last year. The Conservative Party’s national board can also intervene. T-VINE has been informed by reliable sources that Turkish Tories in North London have made internal complaints to their party about Joannides’ reinstatement. Many do not wish to be associated with him and they are demanding he is barred from standing in the May elections to prevent an anti-Tory backlash from voters offended by his comments. 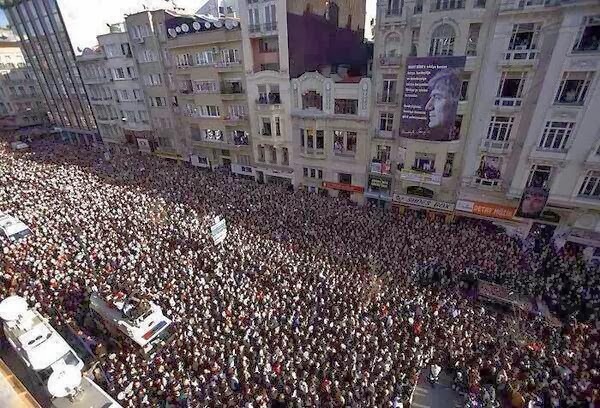 Thousands of people gathered in Istanbul to remember Turkish Armenian journalist Hrant Dink on the seventh anniversary of his death.Standing outside his Agos newspaper offices on İstiklal Caddesi, where he had been murdered, they demanded justice for Dink and condemned the state for failing him. World media captured the thousands of people who had assembled at Taksim square to remember the journalist, before marching a short distance to the spot where he had been slain in 2007. A large banner hung below the Agos office window read: “Seven Years, Together They Protected [the perpetrators], Together They Remained Silent”. Those waiting to address the crowds were met by a sea of placards, which bore the following messages: “For Hrant, For Justice”, “We are all Hrant, We are all Armenian”, and “We are here Brother”, while others labelled Turkey a “killer state”. The 52-year old ethnic Armenian was shot in broad daylight outside his offices by Ogün Samast, a 17-year old extreme nationalist, who was tried and found guilty of Dink’s murder. Samast was sentenced to 23 years in jail in 2011. However, other older suspects were all acquitted, a decision recently quashed by Turkey’s Supreme Court of Appeals. Two of the prime suspects, Yasin Hayal and Erhan Tuncel, are now being retried. Dink’s family and friends are highly critical of the state’s handling of the case and the failure to bring to justice all those implicated in the crime. In 2010, the European Court of Human Rights ruled that Turkey had failed to protect Dink, despite being warned that ultra-nationalists were plotting to kill him. The prominent journalist had long campaigned for Turkey to recognise as “genocide” the 1915 killings of Armenians by Ottoman Turks and was subsequently tried for ‘denigrating Turkishness’. 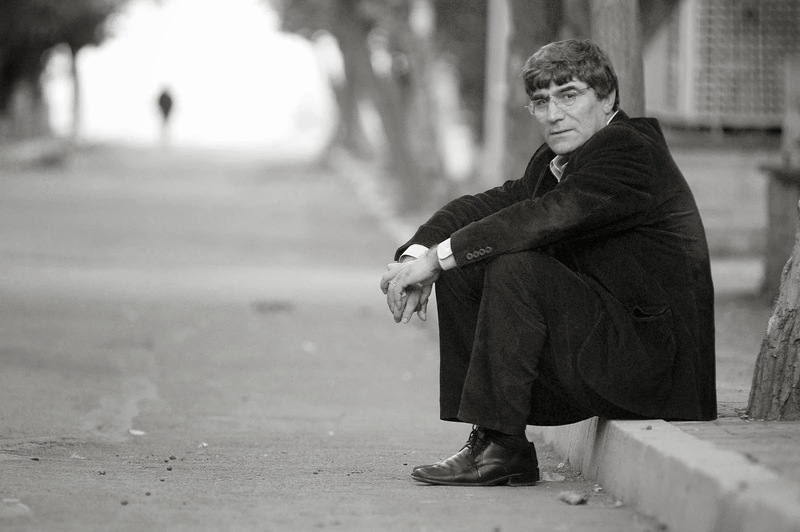 Dink’s death has brought to the fore the demonization by the Turkish mainstream of such activists – in 2000 Kurdish singer Ahmet Kaya was driven into exile by a hate campaign after he announced he wanted to record in Kurdish – and the right to freely debate the Armenian massacres and other contentious issues in Turkey. The European Court of Justice has ruled that it is not a criminal offence to deny the mass killings of Armenians in Ottoman Turkey in 1915 were “genocide”. The case came about following a decision by the Swiss Parliament to make such denials an offence. 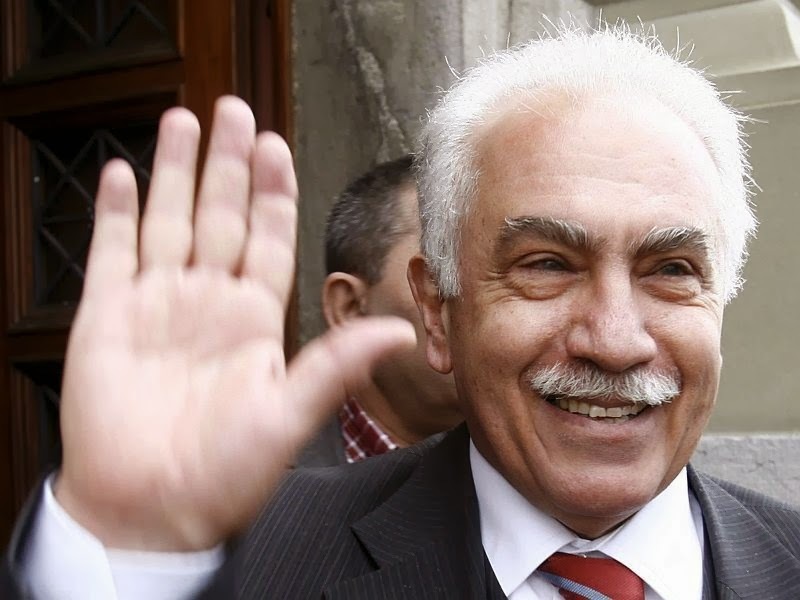 As a result, Doğu Perinçek (pictured), leader of Turkey’s Labour Party, was fined following his comments on the issue at a 2005 debate in Switzerland, in which he called the Armenian genocide "an international lie". "Genocide is a very narrowly defined legal notion which is difficult to prove…Mr Perincek was making a speech of a historical, legal and political nature in a contradictory debate." As part of its ruling made on 17 December 2013, the court drew a distinction between the Armenian case and denying the Nazi Holocaust. In the latter, the court argued, "the plaintiffs had denied sometimes very concrete historical facts such as the existence of gas chambers…They denied crimes committed by the Nazi regime that had a clear legal basis. Furthermore, the facts they denied had been clearly been established by an international tribunal." A similar effort by France’s President Nicolas Sarkozy to make it compulsory to refer to the Armenian tragedy as “genocide” was ruled "an unconstitutional violation of the right to freedom of speech and communication" by France's Constitutional Council in 2012. While Armenians are bitterly disappointed about the verdict, many in Turkey view the ruling a major victory not only for Perinçek, but also for Turkey. Many Turkish historians, politicians and other global commentators have long argued that the Armenian account of the events of 1915 is neither truthful nor balanced. Switzerland has three months to appeal against the ECJ ruling. 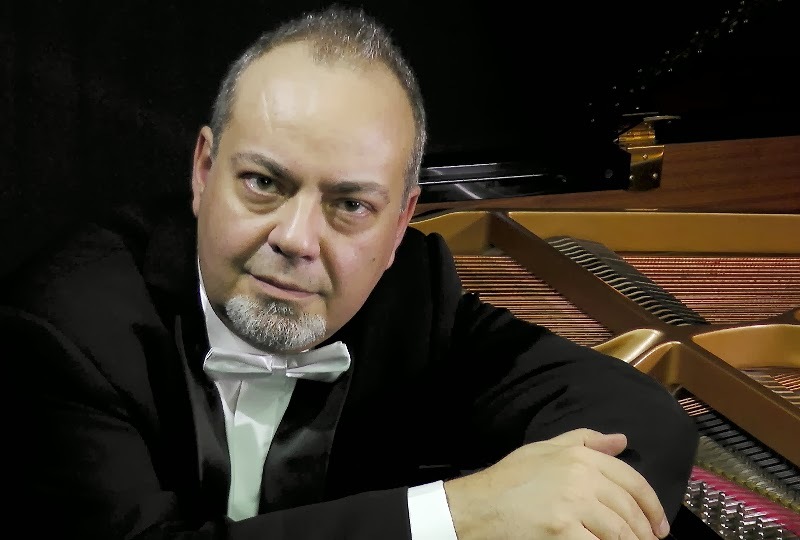 Mehmet Okonşar, a renowned musicologist, pianist and composer from Turkey, will be performing at Pushkin House, Bloomsbury, on Thursday 23 January as part of a series charting the birth and development of the Republic of Turkey. The event is organised by the MCS Young Artists Fund and will take place under the auspices of H.E. the Turkish Ambassador Mr. Ünal Çeviköz. Following the concert, Mehmet Okonşar will hold a Q&A session with the audience. 2013 marked the 90th year of the demise of the Ottoman Empire and the birth of the Republic of Turkey. As the countdown to Turkey’s centenary year begins, the series: Countdown – 100 years of Western Music in Turkey 2013-2024 will put the spotlight on how Classical music from the West fused with Turkish culture. How Mozart was inspired by the Turkish Military Band (Mehter Takımı). How Liszt's performance inspired the Sultan who hosted Western operas at his palace, and how the arrival of Kemal Atatürk influenced general public perception of the shared European cultural heritage. Both through his lecture and performance, Mehmet Okonşar will guide the audience through the history of Western Classical music in Turkey. The evening will be followed by Q&A and an optional champagne reception with Mr Okonşar. 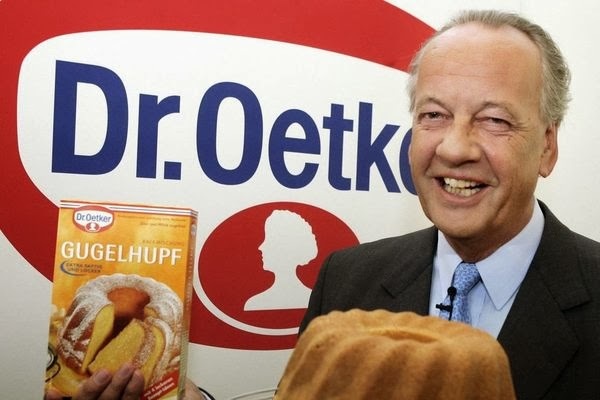 FOCUS: Is Dr Oetker really sincere about facing up to its Nazi past? A couple of months ago (October 2013), another big company in Germany revealed their family firm's past links to Germany's Nazi party. In an extended feature on Dr Oetker, Die Zeit newspaper interviewed August Oetker (pictured above), the chairman of the company, who said, “My father was a national socialist". For many people the news came as a shock and they took to the media to express their opinion and disbelief about the giant food company, whose food products include Pizza Ristorante and the Dr Oetker home baking range, and its connection to the Nazis. I am only surprised why people in Germany still get shocked about news of long-established major firms and their past connections to the Nazis. Anyone who had been taught a little bit history or possesses some knowledge of war-time Germany would at least wonder how a small pudding-maker established in 1891 succeeded to create a multi-million business if it didn’t have any connections to the Nazis. It really should come as no surprise to anyone that the majority of German businesses survived this era due to their links to Hitler’s regime. In the long interview in Die Zeit, August Oetker told of his father Rudolf-August Oetker, who was a member of the Nazi Party. He had been mentored and encouraged to take up the Nazi ideology by his step-father, Richard Kaselowsky. Kaselowsky had taken over the family business of his best friend, Dr. Rudolf Oetker when he died during the battle of Verdun in 1916, marrying his widow Ida Meyer in 1919. August Oetker explained how his step-grandfather ran the business, based in Bielefeld, on behalf of his step-son Rudolf-August Oetker very loyally. Kaselowsky was a great admirer and a "leading supporter" of Adolf Hitler, making large financial donations to Heinrich Himmler, leader of the SS organisation. Rudolf-August Oetker followed in his step-father’s footsteps and volunteered for Hitler’s SS in 1941. Rudolf-August Oetker never spoke to his family about his Nazi past and he refused the opportunity to reconcile his company with its past. His son August Oetker being different to his father wanted to bring everything out into the open. For this he commissioned researchers and a team of historians led by Andreas Wirsching of the University of Munich to lead a study, and to make their findings public. As historian Joachim Scholtyseck states, no company was really clean during World War II. Chairman August Oetker knew sooner or later the company would have to confront its past, so it was better to do it themselves and exercise control over it. And for that I think it is important to acknowledge his actions, as it was never going to be an easy journey digging into the disturbing, upsetting and horrifying past of the company and the family. August Oetker has merged his companies with other German firms who have come clean on their close ties with the Nazis, some begrudgingly many years after the end of World War II. 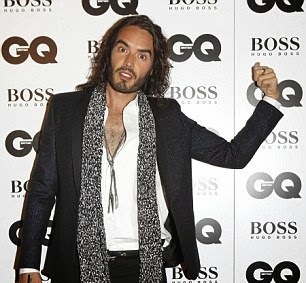 Last year, comedian Russell Brand criticised German fashion house Hugo Boss for making uniforms for Hitler's regime as he received his GQ Men of the Year Award, which was sponsored by Boss. Hugo Boss apologised for its Nazi ties and finally admitted the designer had made uniforms for Hitler's soldiers. Siegfried Boss said, “Yes of course my father belonged to the Nazi Party”. That “yes” indicates everything: perhaps with a small exception, no German or no German company could have continued to operate until today if they had not supported the Nazis. The majority of its multi-national corporations survived because they were a part of the machinery of Nazi ideology and apparatus. However, Russell Brand’s efforts to criticise and to try and make a political point were ineffective for me. He had the option not to attend the GQ awards ceremony and moreover, perhaps Brand should look closer to home before he lectures others. A few history lessons on British colonialism will reveal all the companies which were set up during the time of Empire, who not only exploited the labour force, but also other nation’s cultures, resources and people. Many of today’s multi-billion pound British corporations, such as Proctor & Gamble, Unilever, P&O and various merchant banks, are among those who served and worked for the British Empire. Lessons from history should be learned so our horrific past is not repeated. I strongly believe it is the duty of major corporations such as Dr.Oetker, who made their money during Germany’s Nazi era, building their company into a huge commercial success, to show even greater moral responsibility and support the anti-racist, anti-fascist activities in Germany so they can effectively challenge the ultra-right-wing National Democratic Party (NDP), which is regaining support across the country. The recent killings of Turks, Germany’s largest ethnic minority group, by neo-Nazis illustrate the danger of the militant neo-Nazi base. Their political gains all over the country should not be underestimated. I’m sure Dr. Oetker has employed Turkish workers over the past 50 years. It would therefore be fitting if they helped protect their workers of foreign heritage from the rising hostility and xenophobia in Germany. The increase in anti-Semitic and racist attacks against people and property in Germany has been evidenced in various research. The Amadeu Antonio Foundation, which campaigns against racism, for example recorded 811 attacks against Jews in 2012, of which 16 were classified as violent attacks. Active involvement in today’s anti-Nazi movement by companies such as Dr.Oetker can have a profound and positive impact. It will prove that they are sincere in opening up their archives and past involvement with the Nazis, and learning from their past. Otherwise chairman August Oetker’s actions will be little more than a PR exercise, adding to one of millions of history texts that already exist about Nazi Germany.